Watch the Cherry Blossom and get rewarded! 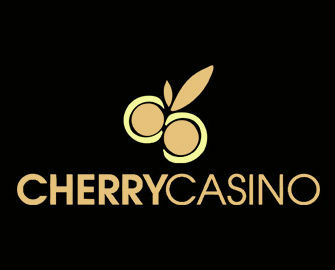 It’s all about Free Spins in today’s Cherry Blossom event! Flower viewing just got a whole lot more interesting. Dinner, a show and a win of up to 100 Free Spins all in the gorgeous setting of Matsue Castle, Japan, it really doesn’t get better than this. Join today’s adventure now and win. Simple and straightforward reward at Cherry Casino, play on Matsuri, the new game from Play’n GO, hit the bonus round as often as possible and collect the Free Spins at the end of the promotion, all wager free. Not watching the blossoming at Cherry Casino? Then sign-up now, collect 20 Free Spins on Starburst (5), Pyramid: Quest for Immortality (5), Piggy Riches (5) and Dazzle Me (5) just for registering and up to 300 Free and Super Spins on your first three deposits. ‘Hanami’ isn’t just about the beautiful flowers this Cherry Blossom Season, there’s also the tasty food and theatrical experience behind it all. So, step into the gorgeous gardens of Matsue Castle, get comfortable and grab some Cherry Blossom treats, because the show is about to commence. Be warned, audience participation is required. How else would you grab up to 100 Free Spins at the end of it? Play Matsuri from Play’n GO at Cherry Casino from 10th to 12th April 2017 with minimum €0.25 or currency equivalent and hit the bonus round up to 10 times to collect the maximum amount of Free Spins. The Free Spins will be credited by 18:00 CET on Thursday, 13th April 2017. Winnings from the Free Spins are cash, no wagering requirement. Terms and conditions apply. Launched as early as 2000, the casino is operated by the acclaimed Play Cherry Ltd. under licenses from Curacao, MGA Malta and the UK Gambling Commission. A large choice of games are offered on desktop, mobile and tablet from Netent, Microgaming, Amaya, Yggdrasil and Play’n Go. The LIVE Casino tables are powered by Netent Live. A good range of currencies and payment methods such as Visa, Master Card, Instant Banking, Neteller, Skrill, Paysafe Card, Trustly and Bank Transfer ensure fast and secure withdrawals. The website is available in English, German, Finnish, Norwegian and Swedish languages and customer support provided 24/7 via Email, Live Chat and Phone.